With this installment, we’re just past the mid-point in the visual dictionary of Peterson’s B shapes. If this is your first look at the Bs, you may want to take a look back at Parts 1 – 3, because these twenty-five years—which span the early 1990s through 2013—mark an important and probably ended chapter in Peterson’s shape history. 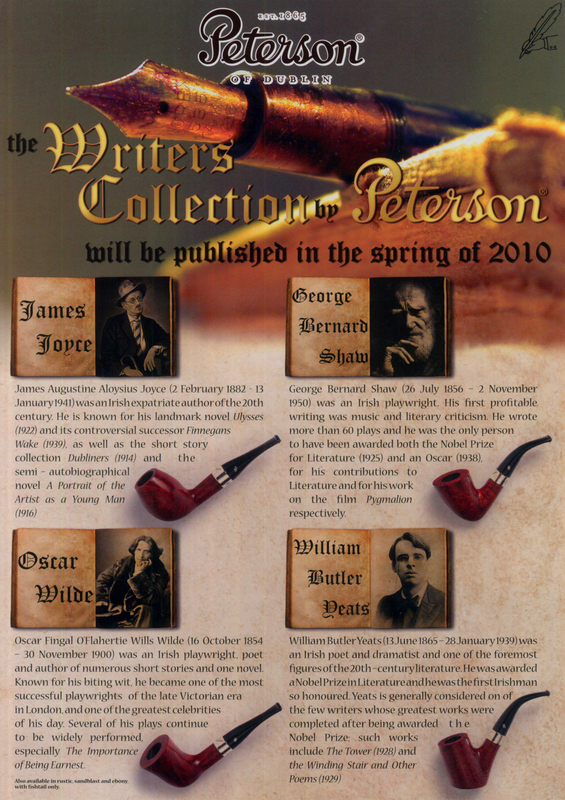 This is just a hunch, of course, but I suspect the era of Peterson special collections and extravagant Limited Edition pipes has come to a close, at least for now. 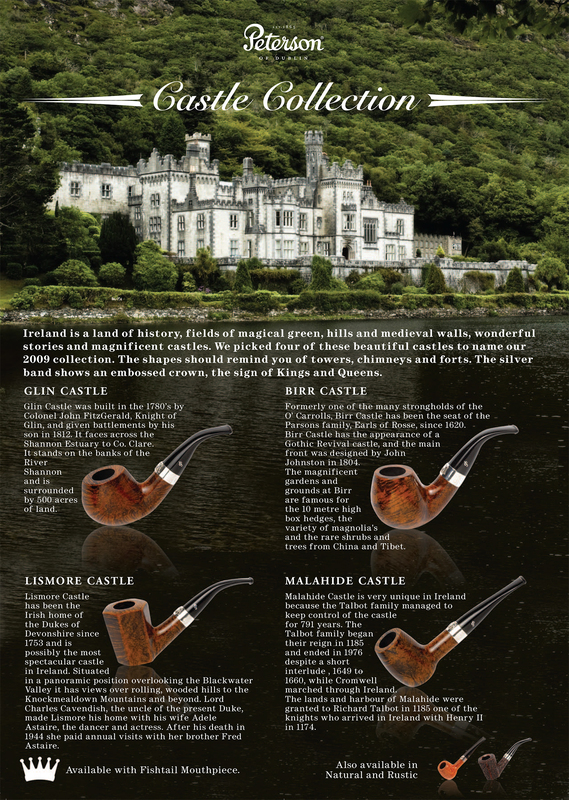 What follows includes pipes from the Castle Collection (2009), the Antique Collection (2009), the Writer’s Collection (2010), and a sprinkling of Limited Edition / POY shapes. 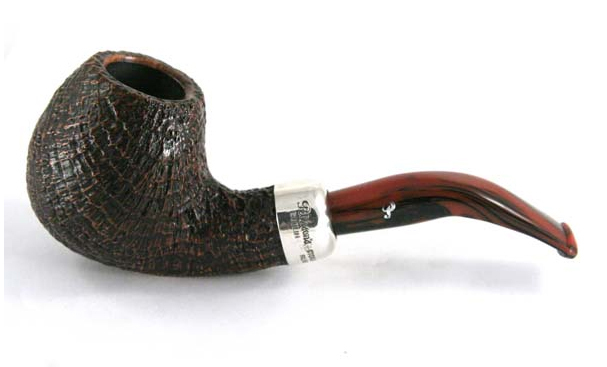 The “Kaffir” B35, one of my favorite shapes, is part of the 2009 Antique Collection. 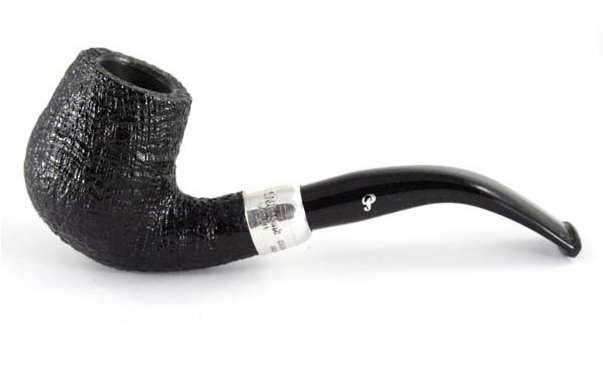 If you haven’t read about this Peterson shape before, you can catch up at https://petersonpipenotes.wordpress.com/2014/09/21/the-peterson-kaffir-horn-and-bent-albert-zulu/ . It has appeared in a number of lines after the Antique Collection, including (but probably not limited to) the 2013 St. Patrick’s Day, 2013 Christmas (seen above), 2014 Christmas, Italian Rock of Cashel (with acrylic marmelade stem below), the Italian Army Linseed blast, Derry Rustic, and most recently, a saddle bit Killarney (directly below). Given all these appearances of the B35, I think I must be the odd man out, and it is quite possible no one else much appreciates this shape. 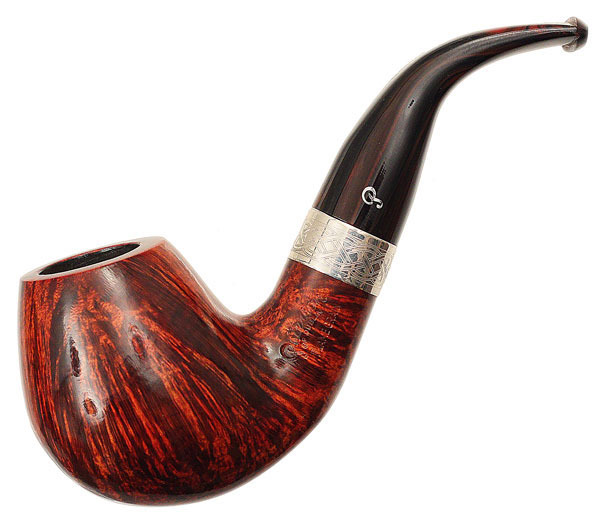 Pete fan Mark Domingues may echo many pipemen in his dislike of this shape, because, as he rightly observes, when you’re smoking it, you can’t see inside the bowl, making it difficult to light or know if you’re scorching the rim. Length: 6.52 in. / 165.58 mm. Weight: 1.40 oz. / 39.74 g.
Bowl Height: 2.03 in. / 51.51 mm. Chamber Depth: 1.55 in. / 39.35 mm. Chamber Diameter: 0.79 in. / 20.17 mm. Outside Diameter: 1.35 in. / 34.37 mm. The B36, a barrel setter, derives from the Malahide, part of the quartet forming the 2009 Castle Collection. Its best presentation is certainly in the current Derry Rustic line seen below, although it previously has appeared in the Donegal Rocky and James Fox Hunter Rustic lines. Length: 6.04 in. / 153.48 mm. Weight: 1.81 oz. / 51.41 g.
Bowl Height: 1.93 in. / 49.11 mm. Chamber Depth: 1.53 in. / 38.84 mm. Outside Diameter: 1.46 in. / 37.18 mm. 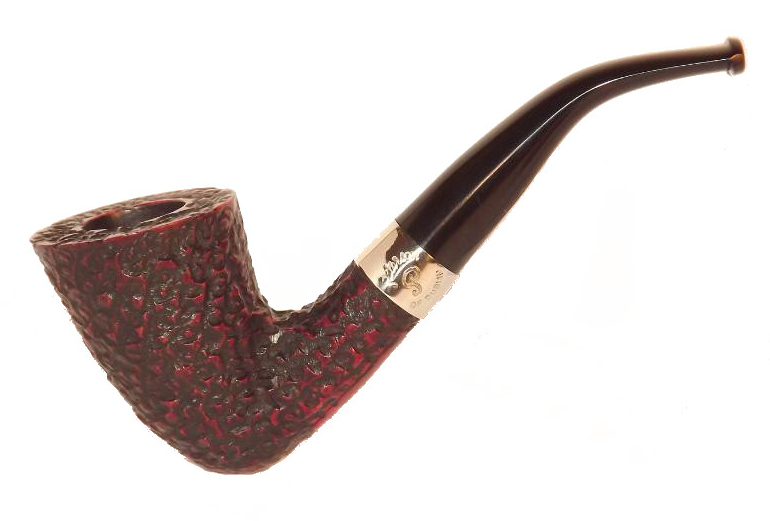 This pipe is the other part of the 2009 Antique Collection, a quiet, slender billiard found in the 1906 catalog. It has appeared in the number of lines since then, including the Italian Blackrock (sterling mount) seen directly below, Christmas 2014, Donegal Rocky, Killarney, Derry Rustic, and, to great effect, last year’s Roundstone Spigot pictured after the Blackrock below. Length: 5.71 in. / 145.03 mm. Bowl Height: 1.93 in. / 49.02 mm. Chamber Depth: 1.56 in. / 39.62 mm. Chamber Diameter: 0.76 in. / 19.30 mm. Outside Diameter: 1.47 in. / 37.34 mm. 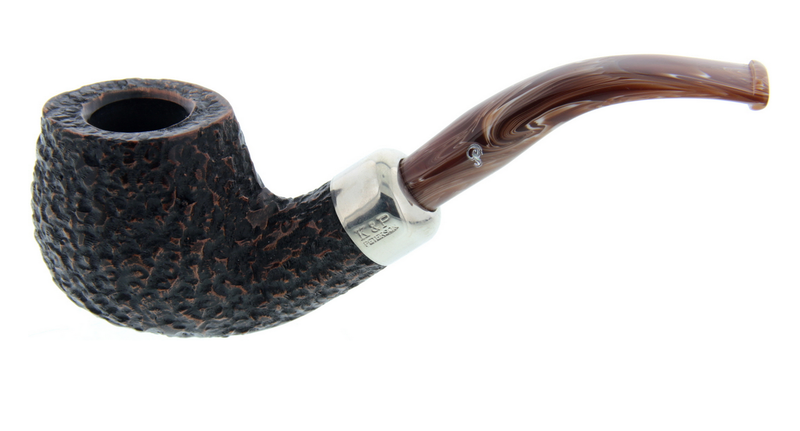 The B38, named the Glinn in its original appearance in the 2009 Castle Collection. This is one of two truly amazing shapes to come out of the Castles quartet, rarely seen but in my opinion an absolute gem as it appeared in the set. A few appeared in the Derry Rustic line, Donegal Rocky and James Fox Hunter Rustic lines, all on the European market. Length: 5.55 in. / 141mm. Bowl Height: 1.92 in. / 49mm. Chamber Depth: 1.65 in. / 42mm. Chamber Diameter: 0.71 in. / 18mm. Outside Diameter (obverse to reverse): 1.57 in. / 40mm. The B39, an amazing panel of near-chimney proportions, appeared as the Lismore Castle in the 2009 Castle Collection. I have one in my rotation and despite appearances, it doesn’t sit. My father had a rusticated one that did, so the balance of the design is rather precarious. Length: 5.85 in. / 148.59 mm. Weight: 2.60 oz. / 73.71 g.
Bowl Height: 2.28 in. / 57.91 mm. Chamber Depth: 1.85 in. / 46.99 mm. Chamber Diameter: 0.80 in. / 20.32 mm. Outside Diameter: 1.56 in. / 39.62 mm. The B40, named the Birr in the Castle Collection, is close to the B34 from the Rivers Collection, but not the same. Both shapes may, perhaps, be described as bent brandies. The B40 has appeared in the prestigious sterling-mount Kapp Royal line (seen above), as well as the 2011 (below) and 2012 St. Patrick’s Day line. A Flame Grain also appeared (further below), but Flames, while stamped as as a line, are rather rare, especially when decked out line the one pictured below. Length: 4.70 in. / 119.38 mm. Weight: 2.30 oz. / 65.20 g.
Bowl Height: 2.00 in. / 50.80 mm. Chamber Depth: 1.72 in. / 43.69 mm. Outside Diameter: 1.79 in. / 45.47 mm. This was the beautiful Limited Edition / POTY 2009. The only subsequent appearance I have been able to trace was in the James Fox 9mm Hunter line pictured below. 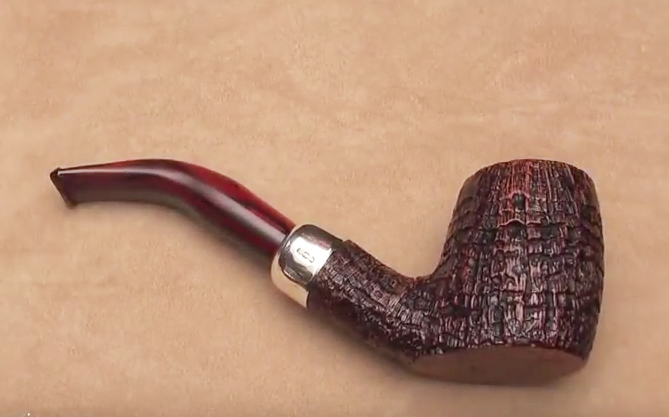 As I remarked in the visual history of Peterson’s Limited Edition / POYs, the full beauty of this shape isn’t revealed unless you see it from the top and can appreciate its pinched shank. Length: 5.07 in. / 145 mm. Weight: 2.3 oz. / 65 g.
Bowl Height: 2.16 in. / 55 mm. Outside Diameter: 1.65 in. / 42 mm. Chamber Depth: 1.70 in. / 43 mm. Chamber Diameter: 0.79 in. / 20 mm. When the B42 appeared in 2009, it was the first new System pipe to appear since the late 1970s and the only one with a B shape number. Per Tony Whelan at the factory, it was issued simultaneously as the Darwin commemorative and the B42. While it has appeared in every conceivable System configuration, the only other appearances I have traced are in the Italian-market sterling-mount Blackrock (seen below) and Rock of Cashel lines. Length: 6.26 in. / 159.00 mm. Weight: 2.66 oz. / 75.30 g.
Bowl Height: 2.17 in. / 55.12 mm. Chamber Depth: 1.62 in. / 41.15 mm. Chamber Diameter: 0.84 in. / 21.34 mm. Outside Diameter: 1.87 in. / 47.50 mm. The B43 was the 2010 Limited Edition / POTY (above). It appeared in two Italian-market lines, the Blackrock (directly below) and the Rock of Cashel (second below), both sterling-mount, acrylic fishtails. It also appeared in the James Fox exclusive Hunter Rustic (9mm). I wonder if it, too, has a pinched shank, which is why I include the photo of its original appearance, which seems to suggest one. 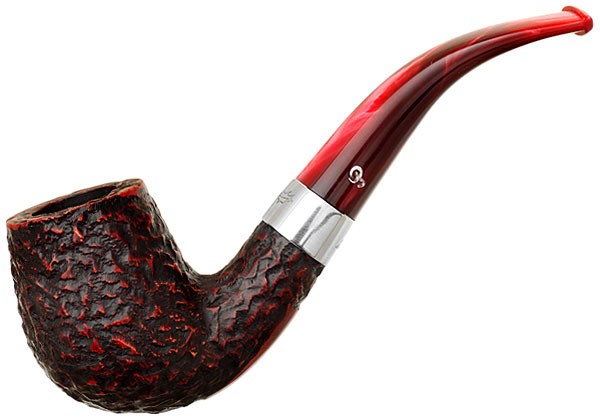 If you have one of these pipes, drop me a line and let me know. Length: 5.47 in. / 138.94 mm. Bowl Height: 1.95 in. / 49.53 mm. Chamber Depth: 1.43 in. / 36.32 mm. Outside Diameter: 1.62 in. / 41.15 mm. The B44 – B47 sequence comprises the 2010 Writers Collection, the penultimate B shapes collection, again featuring some wonderfully original designs. 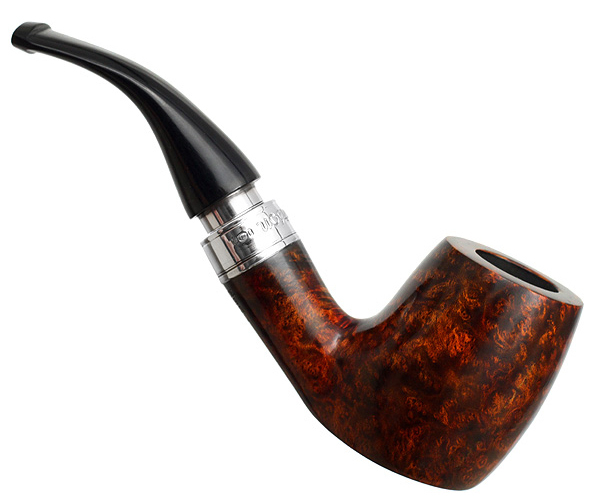 The B44 originally appeared as the Shaw, a bent dublin variant from the 2010 Writers Collection quartet. Its only appearance thus far seems to be in the European market as the Donegal Rocky. The B45, deriving from the Writers Collection Joyce, is a personal favorite of mine, although its character is changed somewhat in its B appearances. It certainly strays far afield from the Peterson house style. I wonder what James Joyce would have made of it? 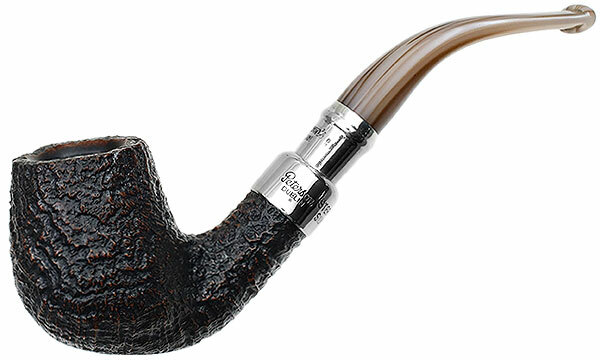 Someone at Smokingpipes called it (with a hint of derision) an “egg-billiard hybrid,” which entirely misses the elegant femininity of this lithesome shape. It seems more Danish than anything else to me, not that I get out very much. I’ve only traced it in the Italian sterling army-mount Blackrock (seen below) and the James Fox Hunter Rustic (seen above). Length: 5.62 in. / 143 mm. Bowl Height: 2.08 in. / 53 mm. Outside Diameter: 1.57 in. / 40 mm. Chamber Depth: 1.57 in. / 40 mm. Chamber Diameter: 0.725 / 18.42 mm. Weight: 1.80 oz. / 51 g.
The B46 is the Writers Collection Yeats. 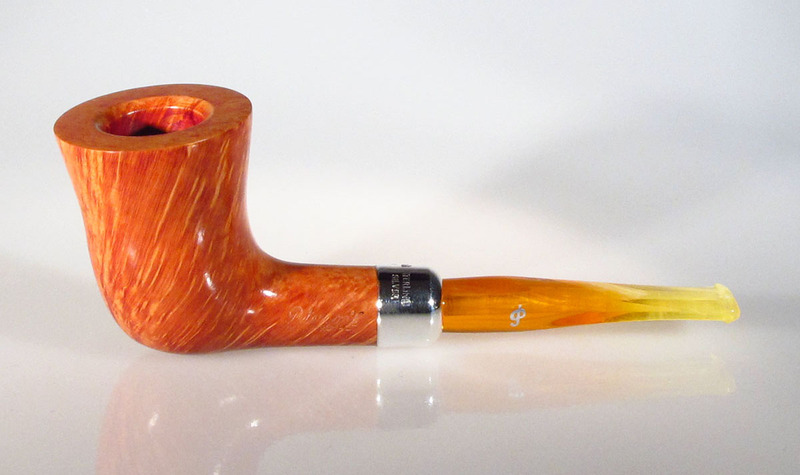 It’s a lovely setter, and appeared in the Italian Blackrock (below) and Italian Kapreis lines (at top of article) with acrylic stems and sterling army mount. It also appeared in the European-only Dublin Castle 9mm line (above) with sterling band. Length: 4.82 in. / 122.43 mm. Weight: 2.00 oz. / 56.70 g.
Bowl Height: 2.25 in. / 57.15 mm. Chamber Depth: 1.65 in. / 41.91 mm. Chamber Diameter: 0.77 in. / 19.56 mm. Outside Diameter: 1.48 in. / 37.59 mm. The last entry from the Writers Collection was the Wilde, the B47. 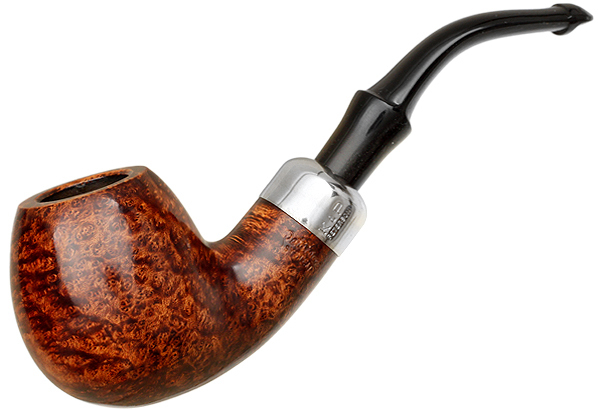 As an enthusiast of the Dublin shape, I must say I’m quite taken with this one’s flared bowl. It’s appeared in the Italian market a a Kapp-Royal high-grade army-mount (above) and a Rock of Cashel (below) – Fisherman, and in Europe as a Donegal Rocky. Length: 5.82 in. / 147.83 mm. Bowl Height: 2.15 in. / 54.61 mm. Chamber Depth: 1.75 in. / 44.45 mm. Chamber Diameter: 0.79 in. / 20.07 mm. Outside Diameter: 1.65 in. / 41.91 mm. Per Tony Whelan at the factory, no stock number exists for this bowl. Most of the B’s don’t capture my attention, with the exception of the B38 (Glin Castle). You are right, that one is a gem, to my eye. it must be rare, I can’t recall seeing one in the usual places. B 47 is also the Port in the Iceberg Collection I believe. Hi Chris. The Port was given shape # B57, but I agree, in the pictures they look identical. We’ll compare measurements in the next installment, and I might write Joe Kenny, who is now factory manager (Tony Whelan, Jr. retired at Christmas). Glad you found one among the hordes! No, Castles Collection sets were few here in the States. You might try Davide Bollito–he can sometimes source something from Mario Lubinski. 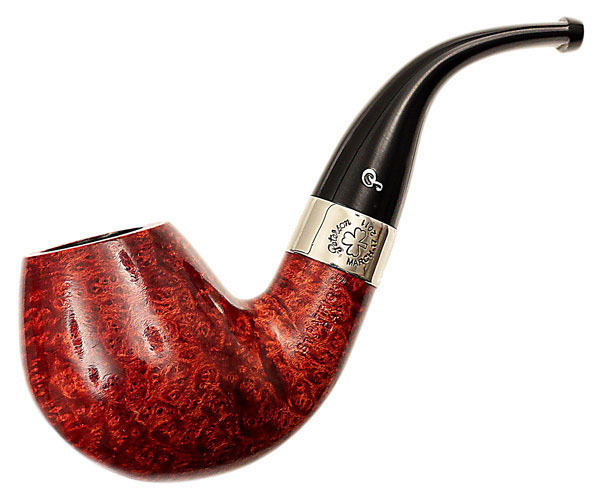 i have to agree with you wholeheartedly on both the Antique Collection B35, and the B47 Kapp Royal Wilde design. i love the B47’s honey toned natural finish, and the B35 Antique just has such a classic look, with modern interpretation. It is just stunning. 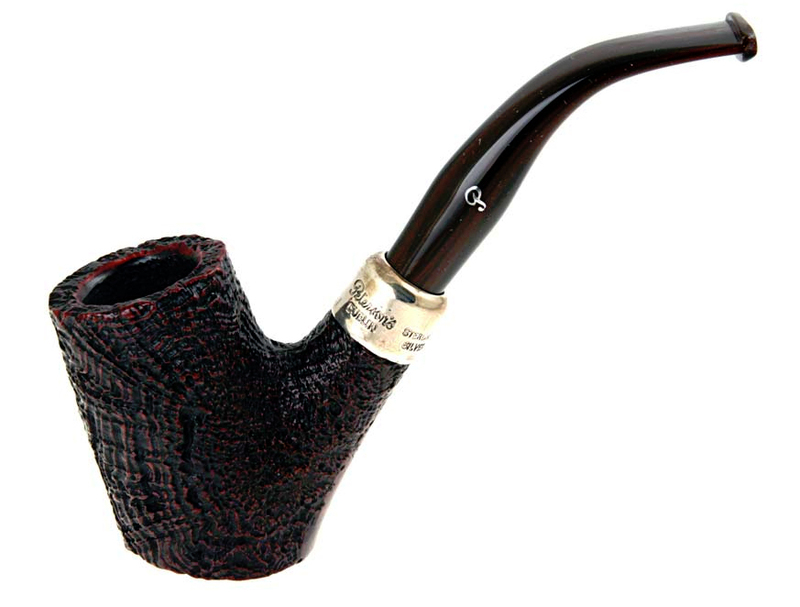 i used to be a huge fan of bent pipes, but i have come back around to traditional Billiard/Dublin/Belge/Canadian straight pipes. 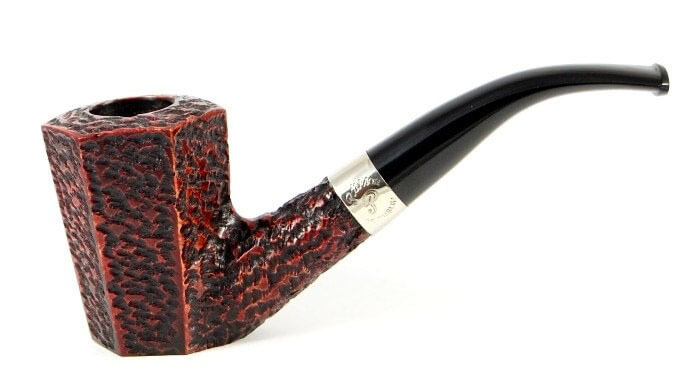 i’ve never been able to get into rusticated pipes, aside from the bit of un-worked briar on 1/2 of the rim of the Freehand Erik Nørding made for me at a “show” he was doing at the top Tabac shop in Kansas City. Its easily a 2 hr bowl, Flame Grain, no lacquer. 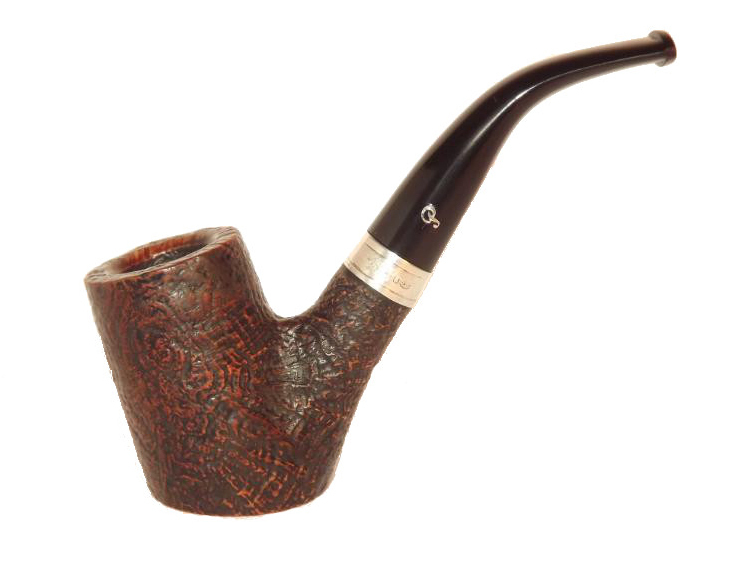 i just clean the wood with Naptha, and rub with boiled linseed oil, it is still a lovely pipe, 27 or so yrs later, though its my only bent. i don’t think Erik makes trips out to shops like that now, probably just the Chicago Show. i’ve had good fortune with my most valued pipes to be sure. I have been trying to figure out the shape number of the 2014 POY. I have not spotted it in the list. Is there a number yet? Thank you for your time. Hi John, The 2014 POY was the final entry (thus far) in the B series, the B65. You didn’t spot it because I haven’t posted that final entry in the B series! It has appeared in at least a half-dozen lines since its debut as the POY. Just acquired a new old stock B45 …….and i love it! Congrats on the B45, Dan. 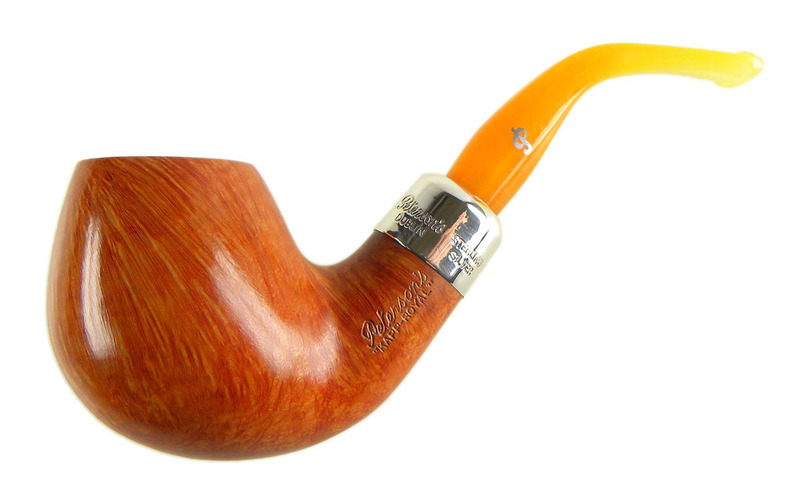 I love this shape–a “bent egg,” perhaps? I have the Joyce version and it smokes like a dream. It was interesting when it appeared that a certain internet dealer’s description seemed a bit dismissive of it, but I think it’s one of the top B shapes in the whole B line, showing just how expansive and experimental that shape collection was.